Any apple product would be treated as a baby at home. And forgetting the iTunes backup password would be a true nightmare. Well, not to worry anymore as this article is to your rescue. This article would teach you two easy methods for recovering iTunes backup password on a Mac computer. Mac OS X has an inbuilt password manager called Keychain Access. It stores all kinds of genuine passwords that might be used in emails, website, servers, and e-account, m-accounts and iTunes backups. 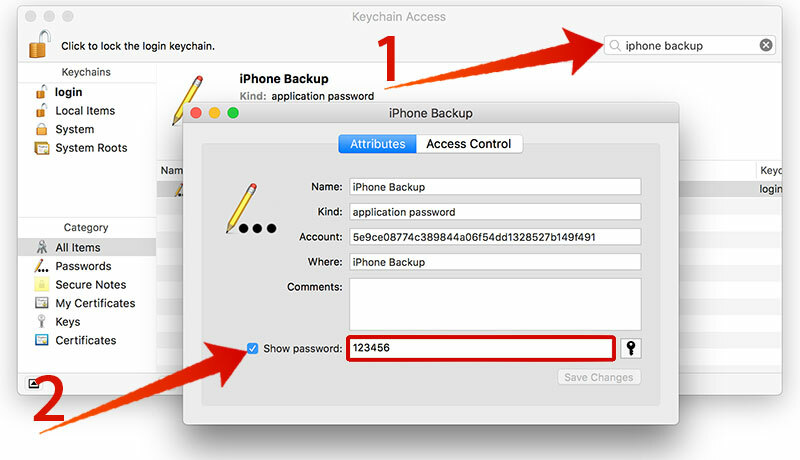 Initially, while setting a password for your iTunes backup or changing it if you mark the checkbox that reads ‘Remember this password in my keychain’ option; your new password would be saved in keychain access too. Here, are the steps to recover your password through keychain access. Step 1: On the Mac computer, go to the applications/utilities and then proceed to keychain access app. Step 2: To the extreme left side of the current page, you would find a login symbol. Click on it. Now, you will find numerous websites and apps that use keychain access to store information regarding login. Go through the list and find an item named iPhone backup. Double click on it. Step 3: A new window would open with a set of instructions regarding the backup account. Read them and later, tick the check box that says show-password. Step 4: Now you would have access to enter your Mac OS X user password. After entering this, click on the allow button to proceed further. Step 5: After clicking this button, you will be directed to the last page wherein the details like username, registered email and password without any encryption i.e. in simple text would be displayed. Now that you know your password, you can login into iTunes and make sure not to forget the password again. There is a probability that your password is not saved in the keychain access application and you haven’t ticked the checkbox that would save your password in keychain during the backup process. Then in this case, you need to use third-party password recovery tool like UUkeys iTunes Backup Unlocker. 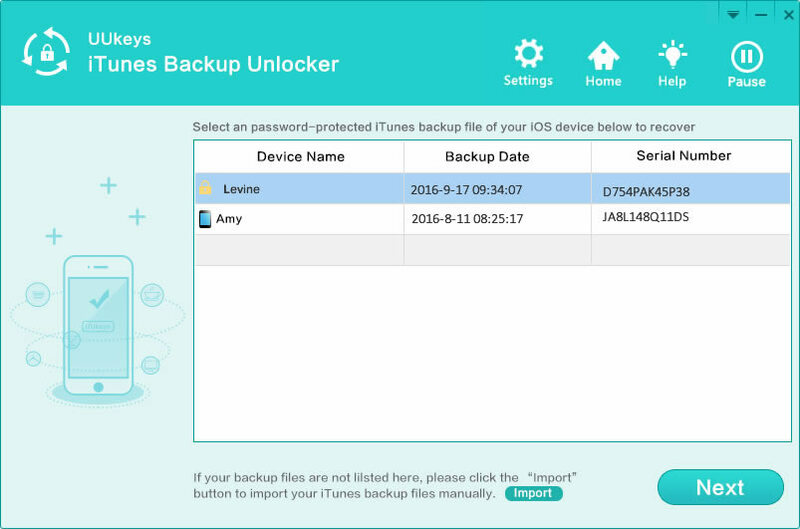 It allows you to recover iTunes backup password in a simple way. You can set a few fields to accelerate the process. In addition, you can boot the speed 10X if there were NVidia graphics card on your computer. Here are the steps to use this method. Step 1: Download the program from here and install it on your computer. Step 2: Launch the app and all iTunes backup files are listed on the main screen. The one with a lock is encrypted with a password. 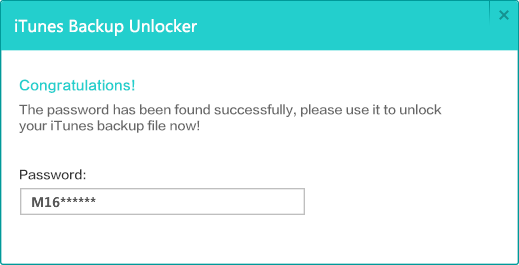 Step 3: Click on a backup file and select a password recovery method. 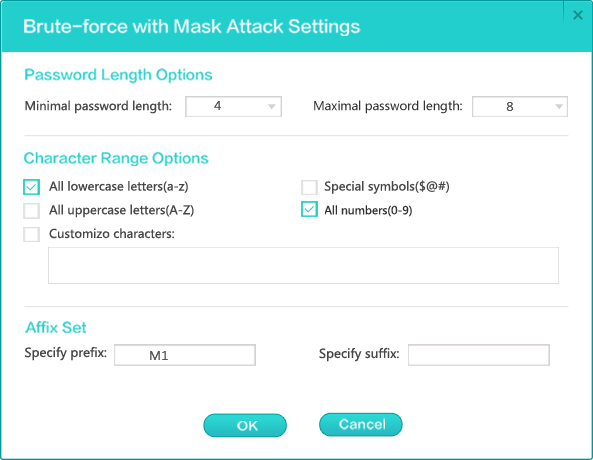 Brute-force with Mask Attack is recommended, as it is much faster to recover the password. Step 4: Make proper settings for all the fields listed on the screen, like password length, character range, prefix, etc. The more you set, the faster the password will be recovered. Step 5: Once the password is found, copy it to keyboard. Then open iTunes and paste the password when it asks you to input the password. These are the recommended methods to recover iTunes backup password on Mac. But it is always good to remember the password as to save time and resources. Hope this article finally helped you find the right password so there is no data loss for you.